D'Entrecasteaux National Park Fishing Shacks. 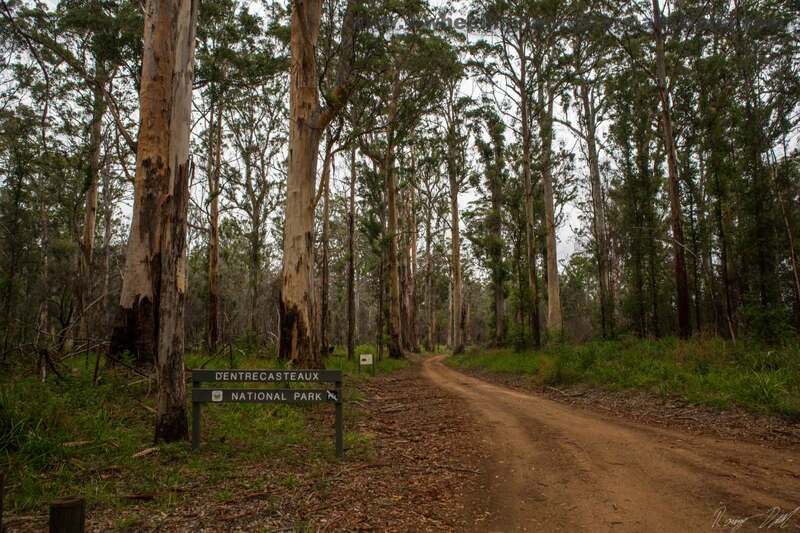 Size: D'Entrecasteaux National Park is very big and covers an area from Yeagarup Dunes to Broke Inlet. Spending two days in the area along the beach can cover about 60-120 km of 4WDing easily. Sandy Peak Sunset of the Sand Tracks. Nearest Fuel: Northcliffe 7 km & Windy Harbor 22 km to the entry track (Chesapeake road). 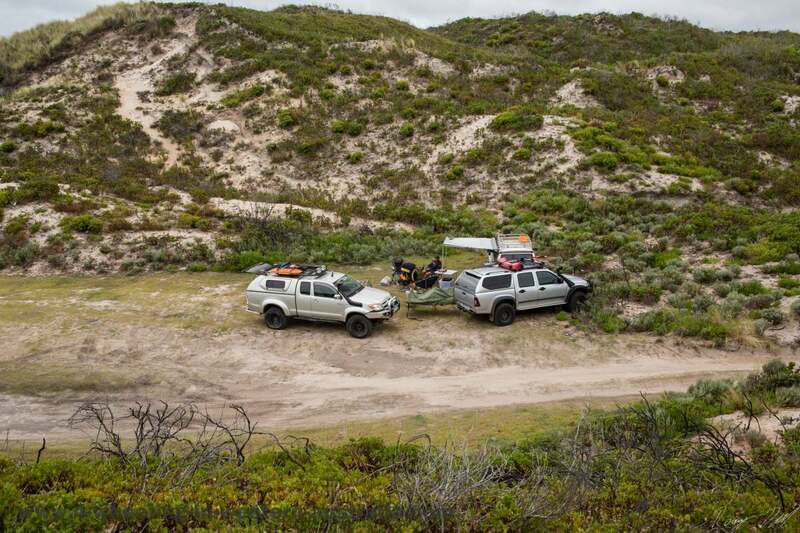 East of Windy Harbor and South East of Northcliffe are many great 4x4 tracks, remote beaches, camp grounds, fishing shacks and plenty of wild life! Please Click Image To See Photo Album. Don't worry, it’s only impassable to 2wd (normal cars) “4x4's ONLY BEYOUND THIS POINT” as another sign states behind the first sign. The kind of sign every 4WDer likes to see! The signs are up because the old bridge is closed/broken. I’m not sure how long the bridge has been shut/closed for, but it looks like a very long time. So the bridge is broken, this means the only way across is to cross the Gardner River. 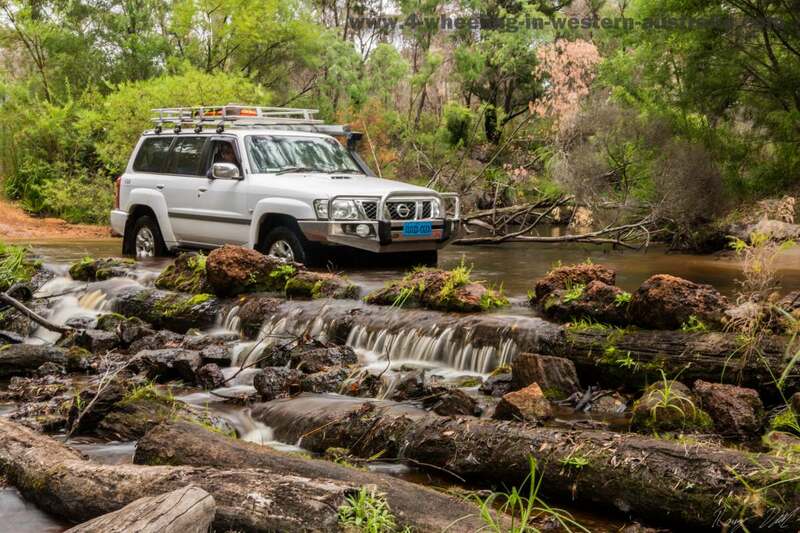 Crossing Gardner River In The Hilux. The river crossing was only knee deep when we visited but in winter it appears to get very deep, there were visible old water marks on the banks and trees showing signs of well over 2 meters which would make it impossible to cross at times. Also take a good look at the water markers which will give within 200mm of the actual depth. Remember if it can’t be crossed on foot it shouldn’t be cross in a vehicle. If the crossing is deeper than knee height I would strongly advise checking out our river crossing page. After the Gardner River crossing you will now be on Maringup road which is a well maintained gravel road, this joins back onto Chesapeake rd (which was cut off due to the broken bridge). Along Chesapeake road an information bay with a map and an entry sign for D'Entrecasteaux National Park will appear on the right hand side (south). Turn into D'Entrecasteaux National Park and head south, this is the only way in and out to the area. From here you will get to a T junction “Moores track" with two signs which will give you two options, east or west. 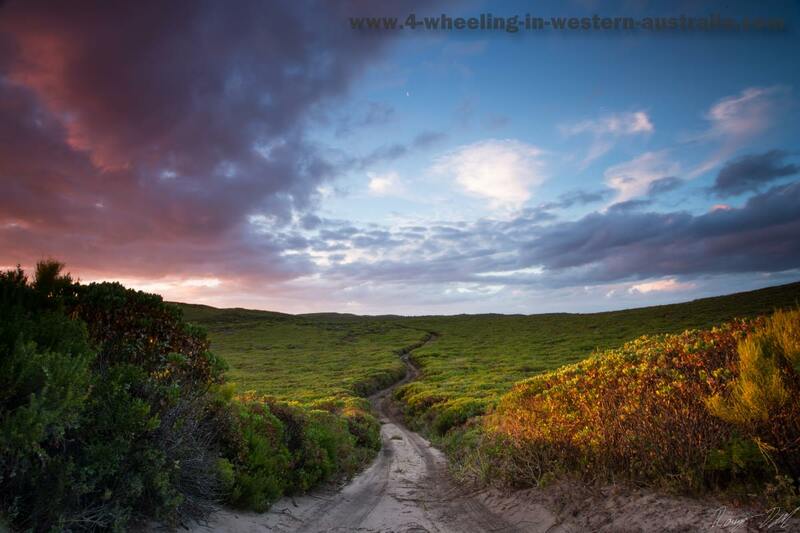 The west track will lead to Moores hut, Moores camp grounds & Coodamurrup Beach. The east track leads to Fish Creek, Fish Creek hut, West Cliff Point and Sand Peak! If wanting to explore the entire area I would recommend starting with the western track. Note that there is another track from the Moores Hut/Camp grounds which leads to Fish Creek and the other eastern tracks. Once on Moores track, getting lost will be hard! See below for details on each location & Map / GPS points for detailed direction. From the Moores track T junction to Moores Hut and Camp grounds is only a short 6km drive. From the Hut to Coodamurrup beach is under 2km and to Fish Creek is 17km. At Moores Hut are the actual camp grounds, about 5-6 tents should fit ok there, any more than that will be too crowded. The Hut and camp grounds are first in first served! Gets busy in the holiday season and on the weekends expect maybe one or two tents there. Moores Hut & surrounding Camp Area. This is a very long beach that stretches all the way to Fish Creek! However the day we were there the beach just got too narrow, with only 200 meters to Fish Creek it was one of those "so close yet so far" moments. 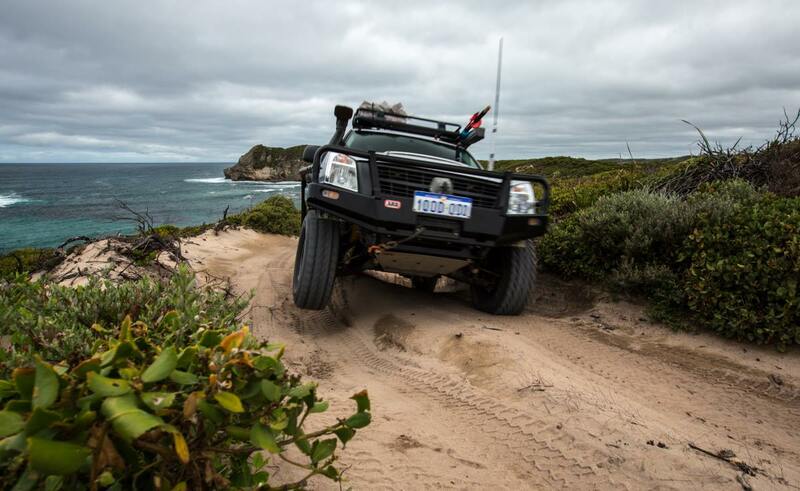 Turning around was a bit of a challenge as the lead vehicle (my Hilux) had a very narrow area (3-4 m) to turn in, with a 1.5 meter steep drop off to the shore line with crashing waves and a 4 m sand dune on the other side. 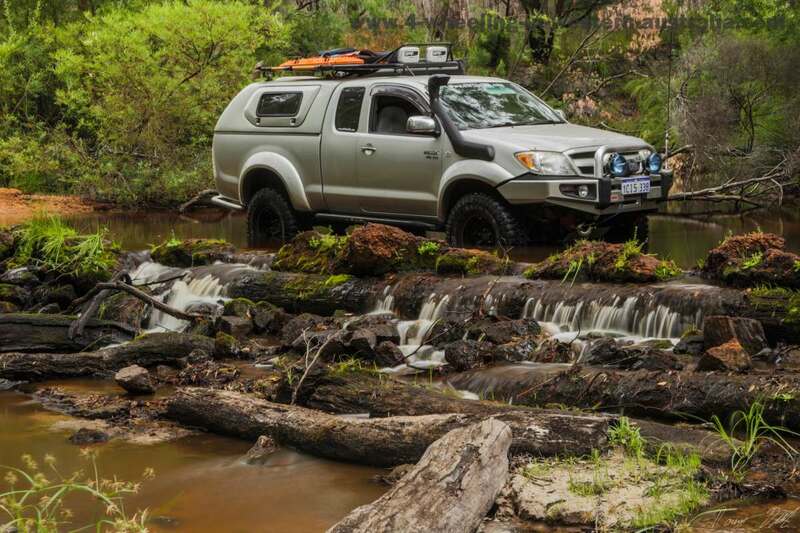 We got the Hilux out. The beach itself is as clean as most south western beaches and is good for fishing, surfing, kite surfing, swimming and relaxing. If parking on the beach for a while make sure to pick a wide section of the beach so others can pass. Camping near the beach is allowed, however we didn't see or notice where the camp spot was. Fish Creek & West Cliff point at D'Entrecasteaux National Park. 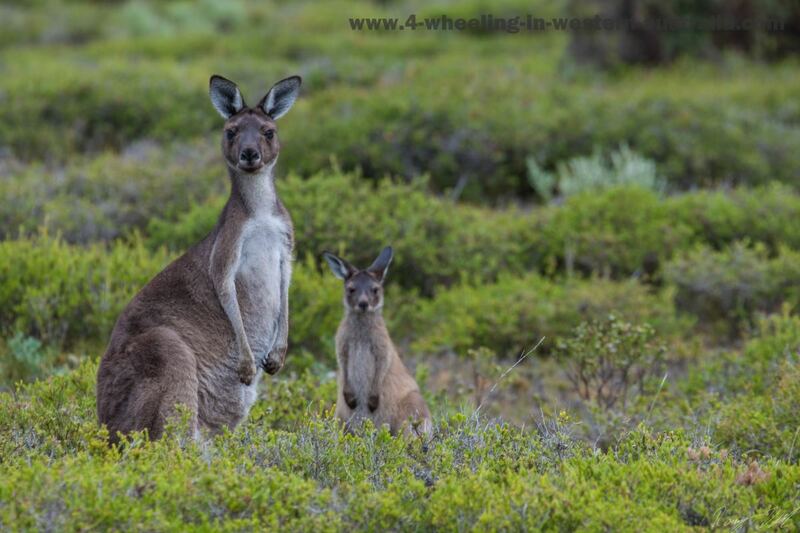 Fish Creek has beaches, cliffs, lots of reef & 100’s of kangaroos! #1 Is near West Cliff point; there is a very nice grassed area along the track just 50-100 meters from the ocean between 3 sand dunes covered in vegetation. On windy days strategic parking is the only way to gain protection from the wind. We camped there for one night parking the vehicles and only using one of our three awnings we had between us due to the winds. 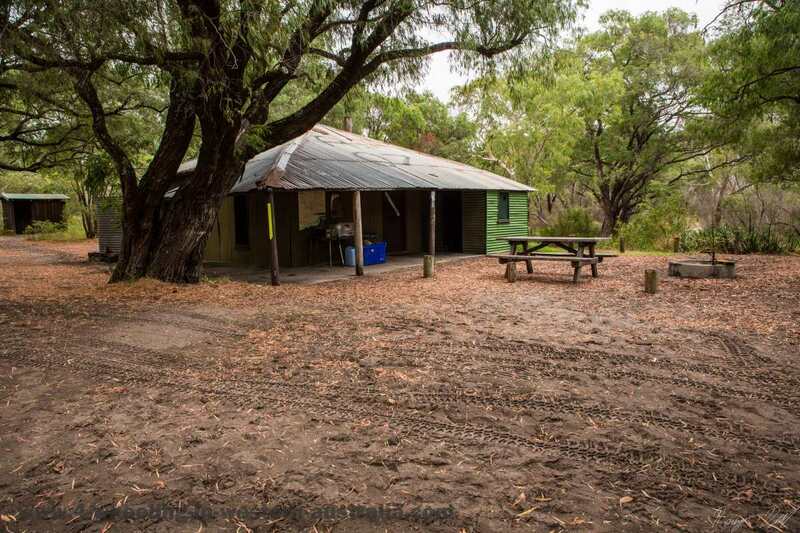 #2 Is Fish Creek Hut; here you have the choice of the hut or the grassed area around it. From here everything is pretty close but you will need to drive. #3 We named it Hidden Peppermint camp 1, it’s to the east of Fish Creek Hut. A 5km drive from Fish Creek Hut by going back inland and turning east at Kangaroo valley (we named it that as there were so many kangaroos in the valley between the Dunes). This camp has it all, a wooden table, concrete fire pit and 100% shade thanks to the Peppermint trees. Getting there was a fun challenge as the tracks have some hairy sections. Continuing past the camp in the east direction about 350 m is the end of that track. The views at the end from the top of the cliffs are awesome! Just be careful around the cliff edges. See map and GPS points for detailed directions on all these spots (Bottom of Page). 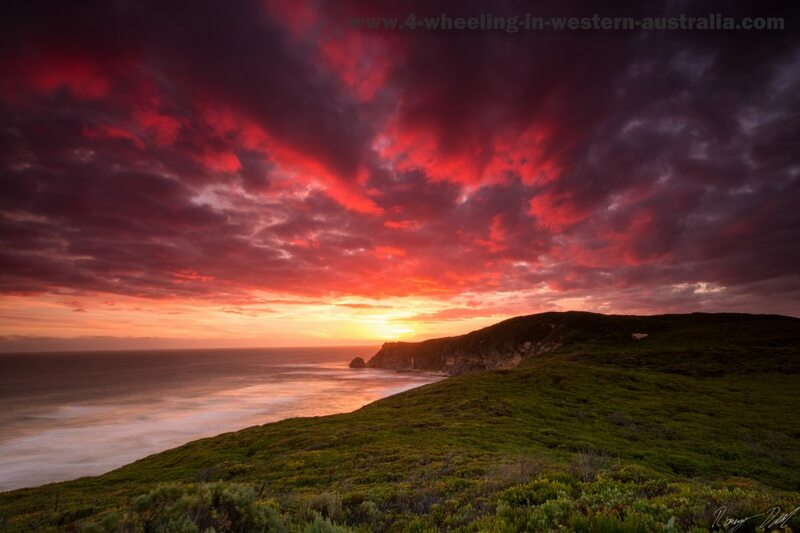 At about 20km from the D'Entrecasteaux National Park entrance is Sandy Peak, which is the end of the eastern tracks. The drive to Sandy Peak is very fun and the tracks keep changing along the way throwing plenty of hill climbs and descents your way. There is only one place to camp and one access way to the beach. That place is Hidden Peppermint camp 2 and beach, it’s right at the end of the track eastern most track. To access the beach climbing down the sand dune (careful here there is hidden lime stone just under the sand), there is a rope to assist but it’s really only useful while going back up. From top to bottom is about 100m. The beach is nice and clean with some reef sections around the place. Hidden Peppermint camp 2 is one of the best places I have ever camped; it has a concrete fire pit, wooden table, metal cooking plate and 100% shade provided by the peppermint trees! Hidden Peppermint Camp At The D'Entercasteaux National Park. To Enlarge The Image Or To See Photo Album Click On One Of The Images. The DEC ranger at The D'Entrecasteaux National Park or a previous camper had left fire wood there for the next visitors (which happened to be us). 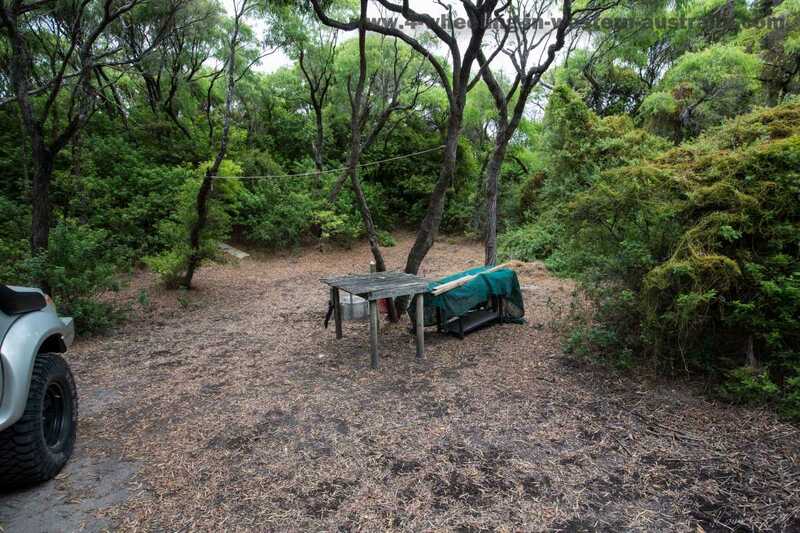 The ranger had also left a sign there stating “Stop collecting wood from the surrounding area, bring your own fire wood or I will close this camp site”. Please obey the Ranger’s rules!! This camp ground is far too good to lose access to. See map and GPS points for detailed directions on all these spots. Gardner River crossing can be Extreme in difficulty come winter time. Most of the tracks (90%) are sand tracks. A few tracks and sections of others are quite challenging and some areas are not as frequently visited as others. It's safe to say that 2 tracks we explored had not been driven in perhaps a month or even longer, as there were no signs of recent tire tracks or even old faded ones. A lot of pin striping happened to our vehicles while exploring them, it was well worth it as some of those camp sites are in the top 5 of best I've have ever seen!! It's very obvious which tracks are to be used and which are not to be used, basically if the vegetation in the middle of the track is as high as the sides DON'T USE IT. Doing so will result in further damage and possible track closures. The overgrown tracks mentioned above were very obvious as proper tracks, also both my paper maps and GPS made it clear which were and which were not! Tyre psi around the 22-18 for the sand tracks will keep you out of trouble and keep the tracks in good condition. 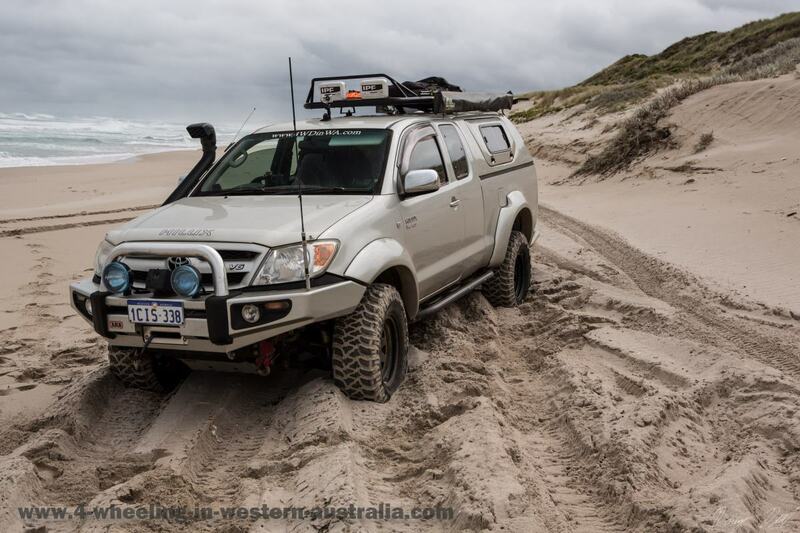 The beaches are soft (very soft) psi of around 12-16 will keep the 4wd going. 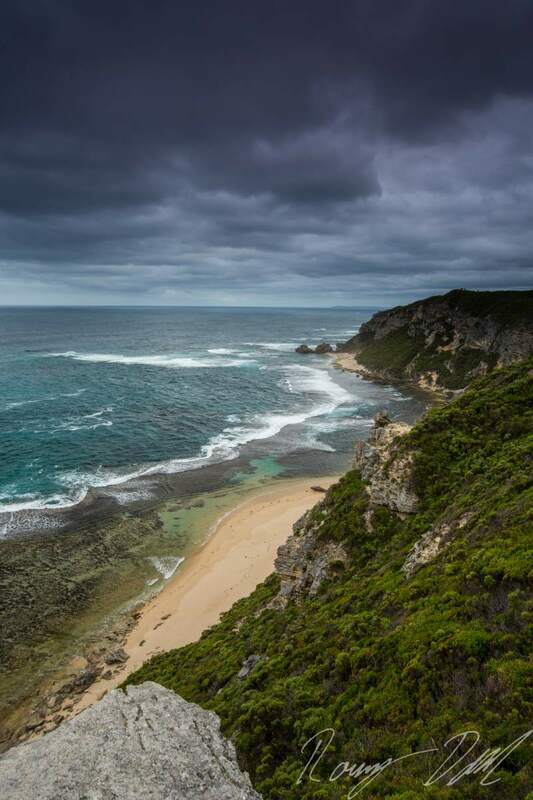 The D'Entrecasteaux National Park is Cooler than Perth in summer and winter. Treat these areas (and all others) with the up most respect! If there is rubbish left behind please take it out with your own, we don’t want others to ruin our fun and cause track closures!! If any of these places get left in a mess I will have to stop sharing these hidden treasures, we can all together protect these areas and enjoy them for decades to come! 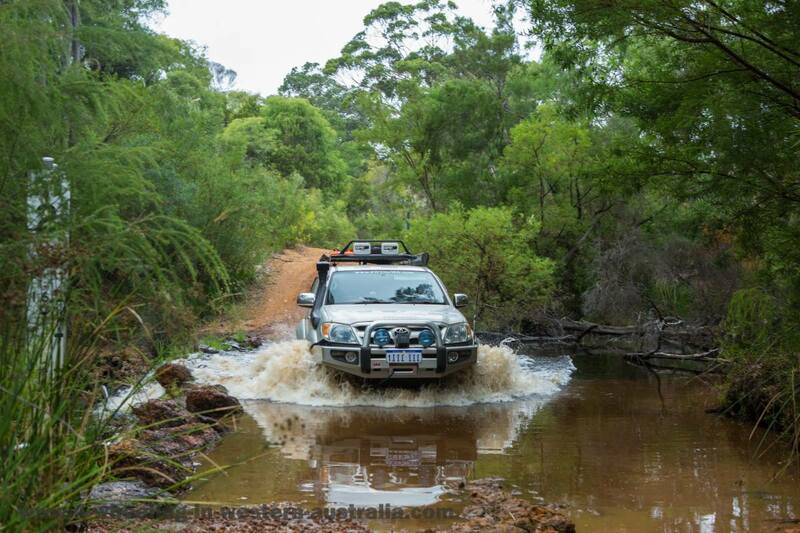 Leave D'Entrecasteaux National Park And Go 4 Wheeling In Western Australia.